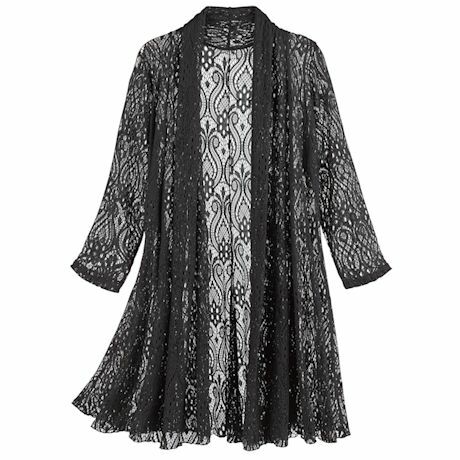 See-through lace is having its moment in fashion, and we love how this jacket layer delivers the look in a long-and-lean style. Lightweight, comfort-stretch fabric means it's flattering and never bunches or binds; dramatic flair that's great for day or evening. Hand wash. 95% nylon/5% spandex. Imported. S(4-6), M(8- 10), L(12-14), XL(16-18), XXL(20-22); 36"L.